Latvia will become the 18th EU country to use the euro after being approved for membership by the European Commission. In a report, the Commission confirmed that Latvia had met the criteria for joining the single currency. Officials hope the news will show the eurozone is set to grow despite a three-year sovereign debt crisis. The Baltic state is keen to strengthen ties with Western Europe and reduce its dependency on Russia. 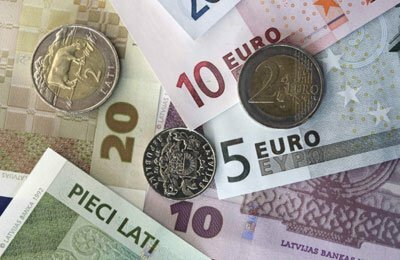 Latvia will start using the currency at the beginning of 2014 after meeting the criteria for membership, including low inflation and long-term interest rates, as well as low public debt. The news came as no surprise after officials said the decision would be “positive” earlier in the week. Unlike some established members of the zone, Latvia was well within the economic limits set by Brussels for joining. “In much of Eastern Europe there’s widespread enthusiasm – certainly among policy makers – for joining the single currency,” he noted. Latvia underwent one of Europe’s toughest austerity programmes after the 2008-2009 financial crisis knocked a fifth off its GDP. Its membership still has to be approved by EU leaders and the European Parliament, but that is seen as a formality. The European Central Bank (ECB) also gave its blessing to Latvia on Wednesday ahead of the Commission’s announcement, but warned high foreign deposits in its banks were a risk to financial stability. “The reliance by a significant part of the banking sector on non-resident deposits as a source of funding, while not a recent phenomenon, is again on the rise and represents an important risk to financial stability,” the ECB said.